While Blue Dragon didn't do too much for me as a game, the music was nothing short of wonderful - exactly the sort of thing I've come to expect from Final Fantasy legend Nobuo Uematsu. 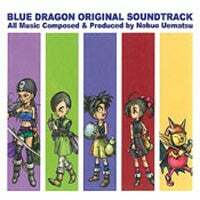 Now you can get all of the music with none of the boring blue gameplay as Sumthing Else Music announces the release of the Blue Dragon Original Soundtrack. Two-discs worth of Uematsu goodness should now be available at retailers nationwide, though knowing how well most shops stock these things you might be better off going for the digital download available from www.sumthingdigital.com for only $9.99, or wait for it to show up on iTunes.